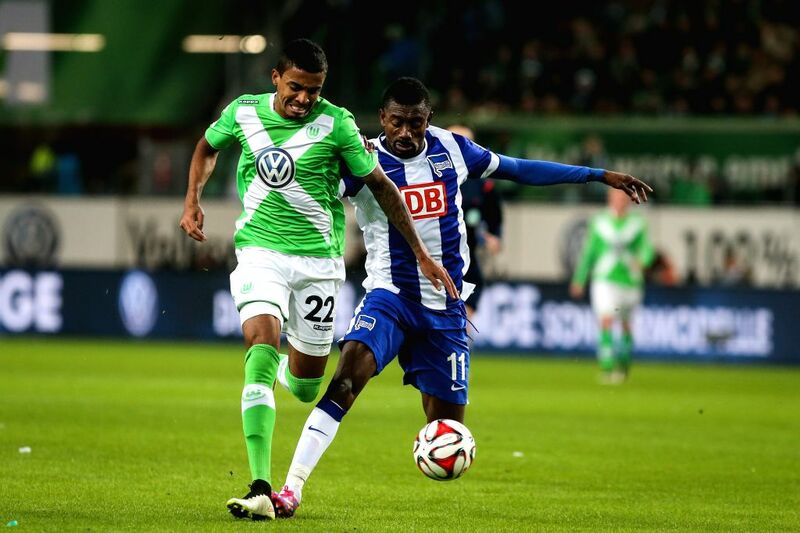 WOLFSBURG, Feb. 23, 2015 - Luiz Gustavo (L) of VfL Wolfsburg vies with Salomon Kalou of Hertha BSC during their German first division Bundesliga football match in Wolfsburg, central Germany, on Feb. 22, 2015. VfL Wolfsburg won 2-1. 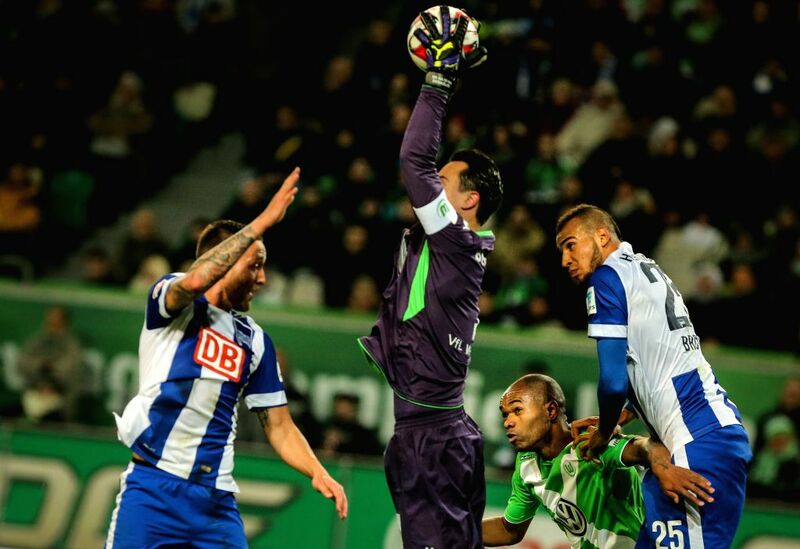 VfL Wolfsburg's goalkeeper Diego Benaglio (2nd L) saves a goal during the German first division Bundesliga football match between VfL Wolfsburg and Hertha BSC in Wolfsburg, central Germany, on Feb. 22, 2015. VfL Wolfsburg won 2-1.